We are a month into the second session of the 30th Alaska Legislature, and so far the biggest issue before us is our looming budget deficit. With the price of oil around $65 per barrel, we are nowhere near being able to rely on oil revenue for funding the state services on which Alaskans have come to depend. 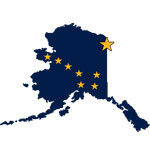 Anchorage – Six members of the Alaska House of Representatives and the Alaska State Senate have been appointed to a subcommittee tasked with reviewing and recommending updates to the harassment policies for the Alaska State Legislature. 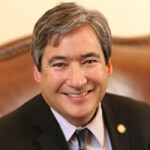 The Sexual and Other Workplace Harassment Policy Subcommittee will work under the umbrella of the Alaska Legislative Council, Chaired by Rep. Sam Kito (D-Juneau). 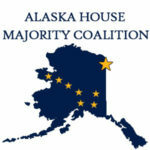 Juneau – The Juneau delegation in the Alaska House and Senate will hold a town hall on Wednesday to discuss legislative issues, including the ongoing fiscal crisis and efforts to reform Alaska’s criminal justice statutes. 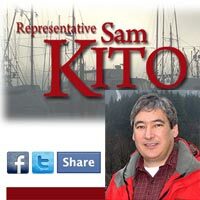 The public meeting will include Senator Dennis Egan (D-Juneau), Representative Sam Kito III (D-Juneau), and Representative Justin Parish (D-Juneau).